Citrus Youth Educational Symphonic Orchestra, Inc., is a program dedicated to teaching classical and symphonic music to children ages 5 to 19 in Citrus County, and surrounding communities. The orchestra admits students of any race, color, national and ethnic origin to all rights, privileges, programs, and activities generally accorded to students enrolled in its program. It does not discriminate on the basis of race, color, national or ethnic origin in administration of its educational policies, admissions, policies, assistance, or other CYESO administered programs. The Citrus Youth Orchestra is focused on the learning of music for the development of intellect and character in children. 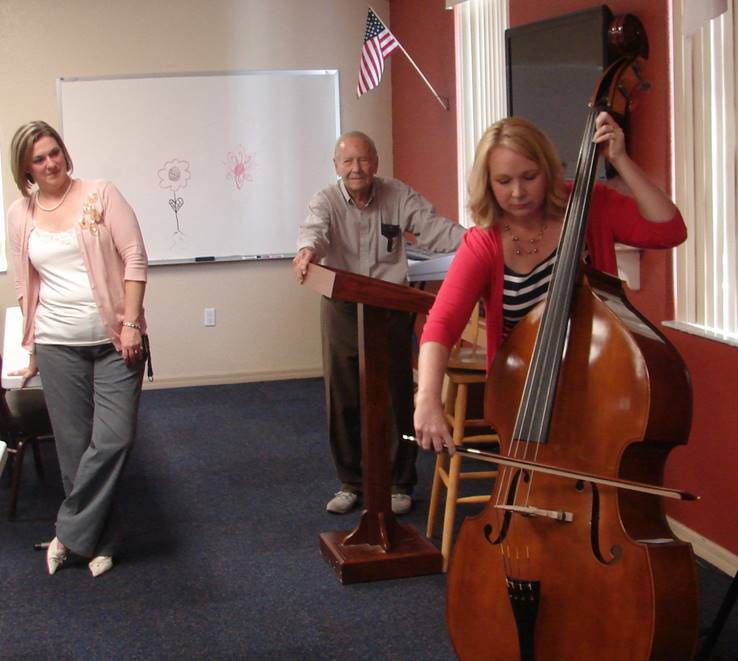 The Members of the Board of Directors of the Citrus Youth Orchestra are dedicated to the vision inherent in this program and the conscious care of resources dedicated to it. Please consider this undertaking as a continuing investment for our children and their children. Support is now provided by Members of the Board, teachers, volunteers, and members who have enrolled and support their students, as well as through the generous financial support of several businesses and other donors. 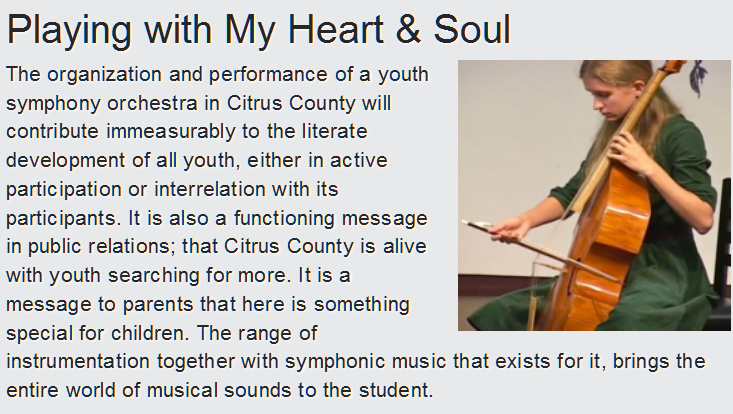 That growing response endorses the vision that the Citrus Youth Orchestra is bringing to Citrus County. Seven Rivers Christian School gave us a beginning home for teaching students; however, increased student enrollment did not allow CYESO expansion. Cornerstone Baptist Church, 1100 West Highland Blvd., Inverness, FL 34452, has invited CYESO to become part of its educational campus for community intellectual development in Art, Drama and Music. Classes are organized in the school rooms, 4:00 P.M. to 5:30 P.M., Tuesdays. Teachers, staff, and students conform to the standards at Cornerstone, in addition to the bylaws and CYESO Handbook. Parents and prospective students must be thoroughly familiar with the CYESO Handbook, which can be found on our site. CYESO bylaws are available by email on request. CONTACT CYESO to request a copy.